Borderlands Brewing Company is a newly launched craft microbrewery in Tucson, Arizona, producing high-quality beer made with all-natural ingredients. 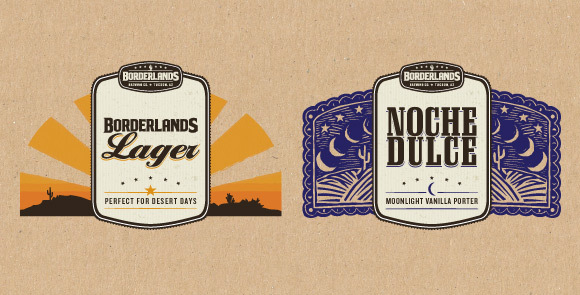 Borderlands' brews are inspired by the community around them, and are well-suited to be enjoyed during the 100 degree desert afternoons. "We can't say enough good things about our partnership with The North State. They are clever, creative designers, and are always a pleasure to work with. Their team consistently creates jaw-droppingly good designs that get our beers noticed. We know that our website, labels, and print materials are in great hands, which frees us up to focus on making the beer!" Bottling & Branding The Rustic Frontier of the American Southwest. In late 2010, Myles Stone and Mike Mallozzi of Borderlands Brewing Company reached out to The North State to create the branding for their craft beer start-up. Borderlands was off to a quick start and the founders knew that the success of their brewery required a smart and creative image for their brewery and the presentation of their beer products. As an unknown micro-brewery based in downtown Tucson's warehouse arts district, Borderlands needed to build upon their local audience as a consumer base before expanding regionally and nationally. The founding partners chose the Borderlands name to suggest the aura and mystique of a truly, southwestern locale. While Mallozzi & Stone worked to renovate their building and fine-tune the flavors of their brews, they were also in need of investors to fully execute the brewery's business plan. Establishing the brandmark for Borderlands Brewing Company would immediately serve to shape the identity of the company, but also provide investors with a cohesive representation of what the brewery would become. In order to convey the brewery's attention to quality and process, visual elements and design techniques project an image fitting that of a rustic frontier craftsman. The North State's study of the beer industry went far beyond countless purchases of six-packs. With such great competition existent in the marketplace, the importance of a distinct brand with an engaging message could not be overstated. Not only did research provide insight into the conventional techniques, vernacular, and imagery used in micro-brewery brands, but the process brought the true values of Borderlands into a clearer focus. Borderlands crafts high-quality beers that are inspired by the community around them, and well-suited to be enjoyed during the frequent 100 degree desert afternoons of Tucson, Arizona. 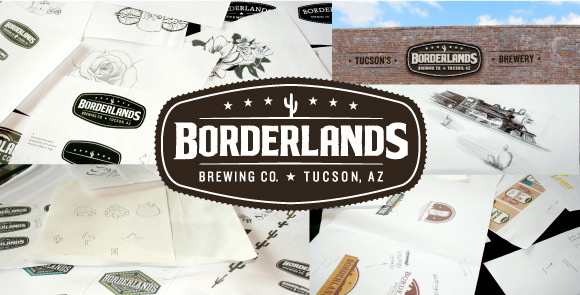 It was made evident that the primary focus in designing the Borderlands brand would be to create a visual connection between the brewery, its craft beers and the regional culture of the Southwest. The fundamental branding initiatives emphasized the company’s connection to the Tucson community, while also aligning their beverages with the adventurous and romantic associations of the American Southwest. The Borderlands Brewing Company logo features elements of the iconic southwestern frontier within a rustic badge, evoking the hand-crafted approach of the brewery and its ties to the region. In order to convey the brewery's attention to quality and process, visual elements and design techniques project an image fitting that of a rustic frontier craftsman. 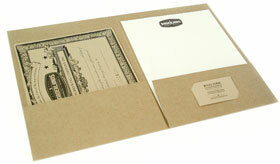 The selection of paper stocks and color palettes further embrace the authentic, Old West tone for the beer branding. A consistent branding system was established for the beer products, allowing for each to thrive with an individual personality, yet maintain a visual structure connecting the family of products. Symbols, and iconic imagery extend the conceptual approach through colorful desert vistas, Mexican calendar girls, papel picado, and a flourishing prickly pear. Within 6 months of establishing their core branding, Borderlands began to secure distribution for their initial beers. Investors support followed, as did a new partner in brewmaster Blake Collins. The signage for the exterior and interior of the brewery will be completed in the summer of 2011, announcing the grand-opening of Borderlands Brewing Company. The beer branding arrived with the initial set of tap handles and promotional coasters in Tucson-area bars and restaurants. Product packaging and extended distribution will follow in late 2011.